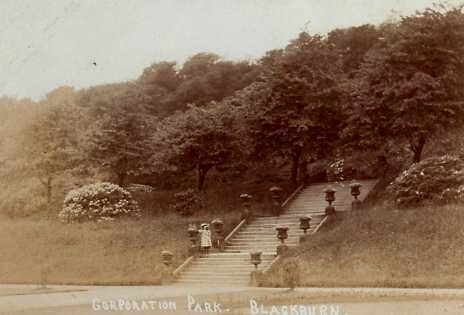 These steps in Corporation Park, which take you from the ornamental gardens / flower beds, up to the Broad Walk, have hardly changed over the years. They look very similar today and even have the large urns on either side (possibly reproduction ones these days). I wonder how long the little girl was there, posing for this shot?